Creating, editing, and commenting on PDFs really is akin to working in a program like Microsoft Word or Google Docs. Adding, deleting, or highlighting text starts with placing the cursor in the appropriate spot and executing the function with your keyboard or mouse. Images can be dragged-and-dropped into documents and even edited in your favorite image-editing application right within the document. A snapshot tool has been added as well so you can make a screen capture from your document and save it as an image file. You can compare two versions of the same document side-by-side and scroll them synchronously. The new side-by-side feature allows you to open two versions of the same document for comparison and scroll through them together. This is useful not only for checking revisions, but also for working with translated documents. 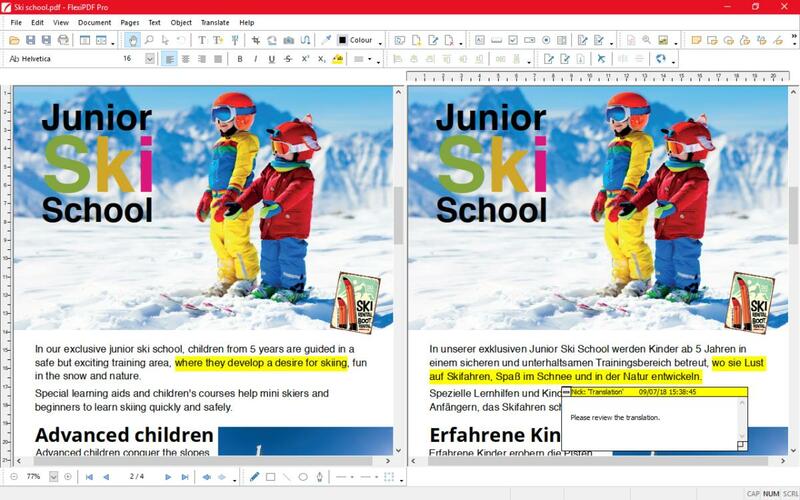 FlexiPDF 2019 will actually export PDF content for translation in a third-party program, then re-import it back to its original spot in the document. FlexiPDF 2019 lets you fill out both interactive forms as well as static forms—the kind you’d normally have to print out and fill in by hand. It also allows you to create your own interactive forms from scratch using check boxes, selection lists, and other common inputs. One of FlexiPDF’s more unique features is its robust search-and-replace function. 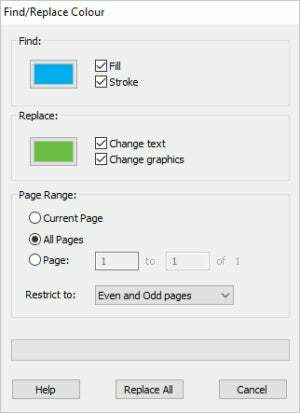 It allows you to to make document-wide changes to fonts and colors as easily as to text. FlexiPDF 2019 supports the filling out and creation of interactive forms. SoftMaker offers FlexiPDF 2019 in two editions. 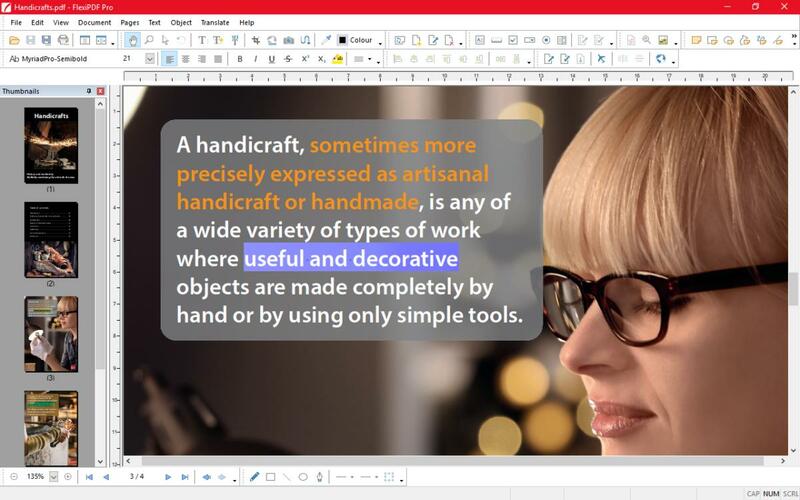 Standard provides most of the essentials for creating, editing, and exporting PDFs, including the ability to create PDFs directly from any Windows application. To get the side-by-side comparison and interactive-form creation tools, as well as a host of business-centric features such as Bates numbering and content redaction, you’ll need the Professional edition. FlexiPDF 2019 Standard can be purchased for $59.95 and Professional for $79.95. In FlexiPDF 2019, you can search and replace colors and fonts as well as text. SoftMaker also offers a subscription model, the main difference being that upgrades are included free rather than offered at a discount as with the purchased versions. The subscription options—which mirror the Standard and Professional editions, respectively—are FlexiPDF NX Home, available for $2.99 per month or $29.90 per year, and FlexiPDF NX Universal, available for $3.99 per month or $39.90 per year. 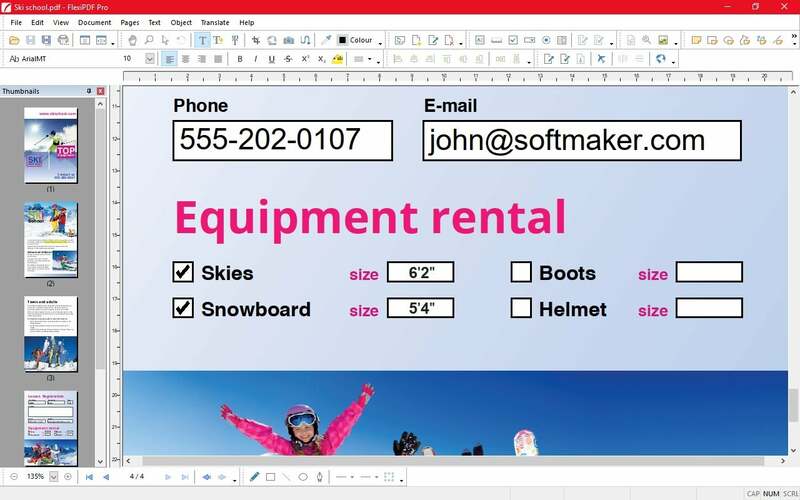 FlexiPDF 2019 brings some welcome upgrades to SoftMaker’s capable PDF editor. Intuitive to use and stocked with essential and unique features, it should be included on any list of viable Acrobat alternatives. FlexiPDF 2019 adds some unique features to the editing essentials.